This server has received 2229260 hits from both ipv4 and ipv6. There are any number of ways of adding an online shop to a website – we looked at 3 extensions for Joomla here if you’d like to know more. But in the posting, we will look at payment methods – once your customer has chosen to buy something, how are they going to pay for it? It’s at this point of the sales process that a lot of sales are lost, so it’s crucial to get it right. Paypal and more recently Google Checkout are the most common payment methods found on e-commerce websites. Why? Because they are so easy to set up, require nothing more than an email address, credit card and bank account. 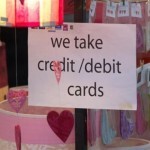 The registration process is very easy for the shop owner, and they support all credit card types at the same rates. The integration process is typically straightforward with lots of examples and pre-built buttons provided. But from the customer point of view are Paypal and Google Checkout ideal? Perhaps not. Usually the customer will have to leave your website entirely so they may be wondering where did the e-shop go? They may also face additional advertising and “become a member” links on the payment processors site. For the business owner, use of these processors can be frustrating. If you are selling downloadable products it’s highly unlikely that PayPal or Google Checkout will accept some proof of purchase, even a commercial invoice, as a valid argument not to refund the customer. There are of course a number of alternatives to Google and Paypal. These include credit card processors, off-line payments and even payment on delivery. If you do support a number of payment methods, it’s a good idea to give the customers a choice during checkout – but don’t go overboard. Too much choice can confuse – the customer just wants to complete the purchase, not read through 10 different payment options. For online payment with a credit or debit card the process involved requesting a Merchant Number from your bank – these are normally only provided for businesses, so you’d need to be a limited company or sole trader. Once you have the merchant account set up (for which you’ll be paying the bank a monthly fee), you can go shopping for a payment processor. These charge by different methods but typically you might pay a fixed monthly fee plus a percentage or small fixed fee of each sale. 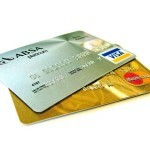 Providers include Paypoint, WorldPay, SagePay. Benefits over Paypal and Google Checkout include your name on the customer’s statement, control over the process, negotiable fees, transparent checkout process and lower costs for high volumes. 2020Media can help you with adding ecommerce to your website. Experience with multitple payment processors – ask us for a referral. Accept Direct Debit – ask us for a referral.